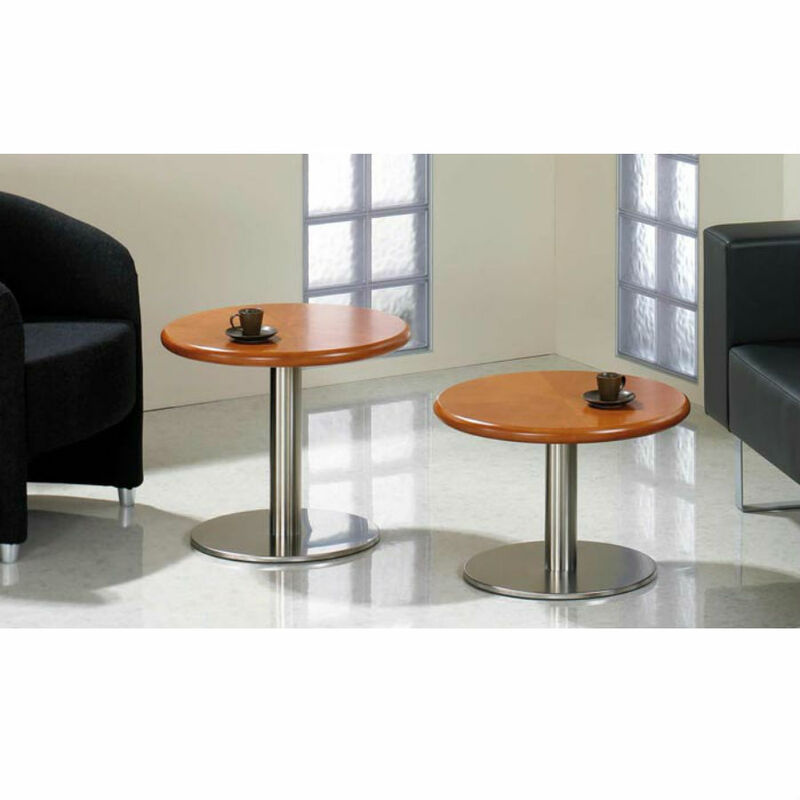 The Fulcrum range with its traditional yet striking design are well suited to the reception area of your company expecially for those who are wanting to make a good first impression. 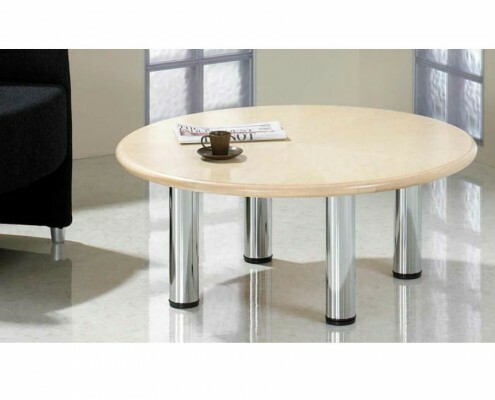 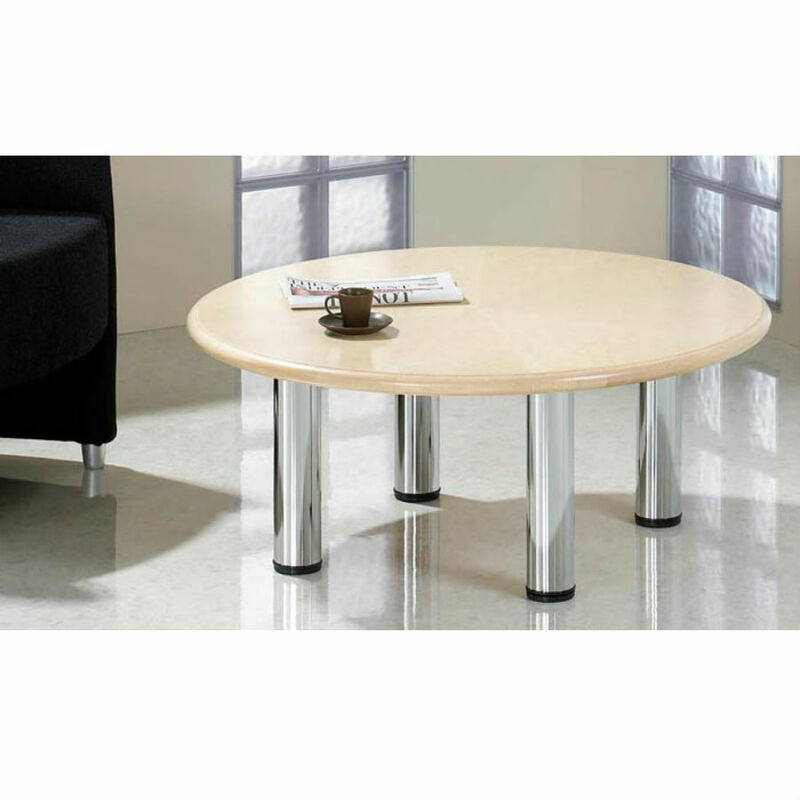 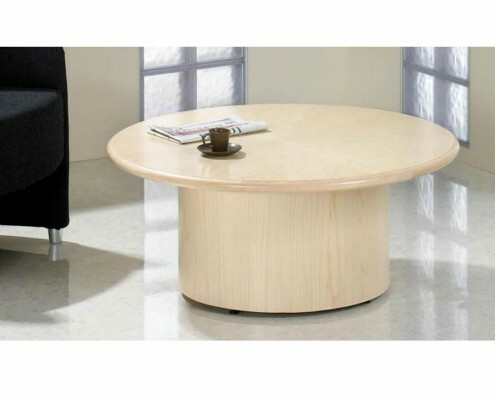 The tables are available on round tubular legs in polished chrome or zinc, arrowhead bases, box bases, timber coloumn bases and satin stainless steel pedestal bases . 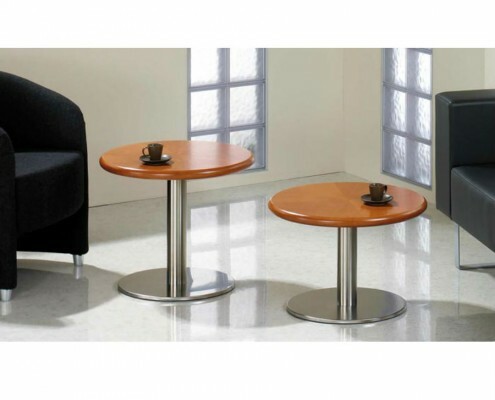 The tables are 405mm high save the tables on the polished chrome pedestal base which is also available in a 510mm high version suitable for use with the desk high visitor seating and the semi low breakout seating ranges including the 1138mm high poseur tables. 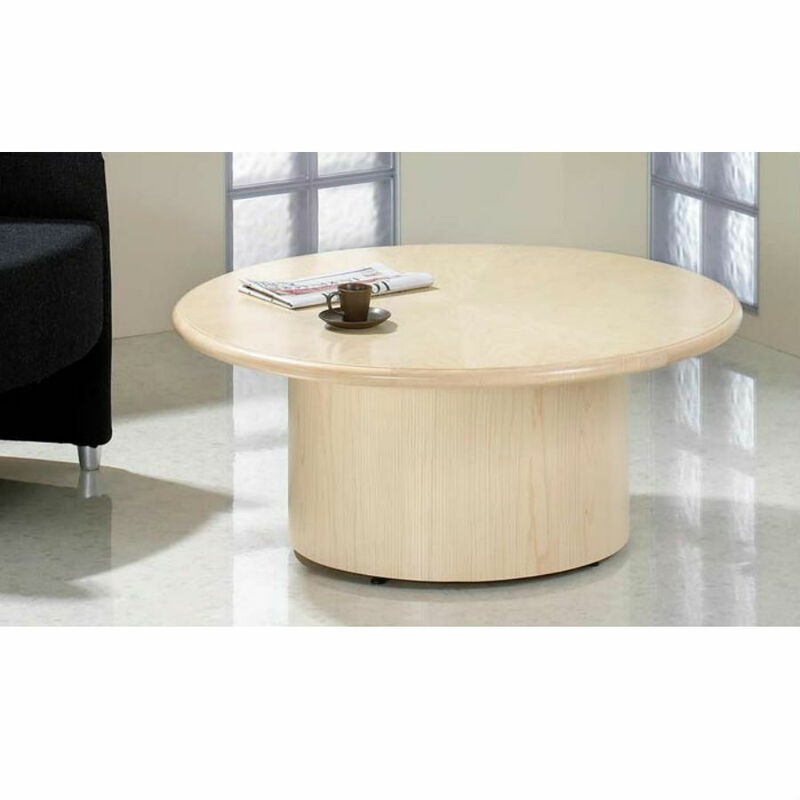 All table tops are available with a choice of radial veneer top or a straight grain with a solid radius edge details on round tables as well as straight grains.